May 30-31 + Friday night party (29th) 2009. 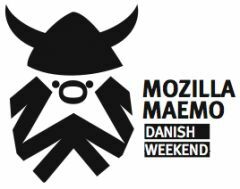 The Maemo and Mozilla projects are organizing a joint developer camp in Copenhagen the last weekend of May. If you are working on Fennec, Fennec add-ons or Maemo 5 applications this call is for you! The meeting is open and free, although registration is needed for planning purposes. Register - Who is coming - Arrivals/Travel. If you are in Twitter use the #mozmae tag. Follow the #mozmae microblog. On Qaiku contribute to this thread. Also use the mozmae tag on Flickr. Follow a live microblogging feed via the hashtag #maemoz at Twitter here. Event notes also available on Qaiku. This hands-on developer meeting is all about getting software ready for end users. Both Fennec and Maemo 5 will be in beta stage and approaching their final releases. Code, test, fix, improve... and have fun! Fennec add-ons - We love Fennec add-ons! Mozilla core development - common to Fennec and the Maemo browser. Maemo applications - Fremantle Stars + GSoC projcts + other Maemo community projects willing to join. Main Hall equipped with tables, chairs and power cords. This is the default location, totally unscheduled, where developers hang around, chat and hack. (free!) Lunch and coffee will be offered here as well. Auditorium with capacity for 150 people. Big screen, beamer and good sound at your disposal for talks and demos. Three rooms with capacity of 40 people for BOFs, workshops, team meetings and any other loud activity. Equipped with projector and white board. Maemo/Nokia room - devoted to offer technical support using the SDK and other developer tools. Everything under a thick and fast academic WiFi cloud you won't beat. Some of these space are identified in a set of pictures. See when people are arriving in and leaving Copenhagen. Taking shape as we speak. The idea is to have one stream of activities in the background with few or no overlaps. Developers are supposed to be in the Hall most of the time, attending to sessions where they are involved or find particularly interesting. Hall: Doors open Saturday from 9:00 to 23:00 and Sunday from 9:00 to 18:00. One Mozilla track in the mornings. One Maemo track in the afternoons. Mozilla room. Project meetings tbd. 10:30 - 11:30 Maemo 5 development environment support: SDK (Soumya Bijjal, Marcel Lengyell, Janne Johansson), packaging (Jeremiah Foster), extras-devel autobuilder (Niels Breet). 13:30 45' Mer project meeting: How do we get Mer to 1.0? Maemo/Nokia room. No scheduled activities. Go there to meet the Development Platform team and get technical support. Some developer competition will be run during the Danish Weekend with a nice prize and applause at the end. We have booked 40 rooms (single or shared) at the Hotel Cabinn Scandinavia. The rate is 75 EUR per night (including breakfast) which is very very decent for Copenhagen. The hotel is 2 minutes walk from the metro station going to the venue and has free Internet connection. The metro runs all night, so there's no need to take a taxi after late night coding. The sponsored participants are hosted in this hotel. Other participants are encouraged to book here your rooms as well. There is an Accommodation wiki page where you can see how the rooms are organized. If you get the notice of fully booked, there are more Cabinn hotels in Copenhagen (see map). For the budget traveler who doesn't mind sleeping in dorm beds in shared rooms. Sleep in Heaven is a youth hostel and you have to be between 16 and 35 years old to stay there. Features: Free wifi, free locker, booking online in advance, etc. Roughly 27 minutes by public transport from the venue to the hostel. Metro (M1, M2) nearby venue will put you within 1km distance of the hostel. We have some budget to support travel and accommodation expenses of key developers able to make a difference in the Danish Weekend. Developers of Fennec add-ons, Fremantle Stars and the Mer project. Link to your projects and get references from lead developers. Developers of cool software for average users available in Fremantle Extras-devel. 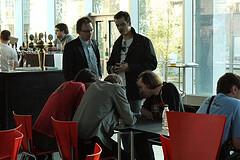 Other key Maemo contributors with high karma and a concrete development plan for the weekend. Apply for sponsorship. Sooner is better. This event in Facebook and in Linkedin , for those of you willing to show up there and help promoting the event. Public transport travel planner, has DE and UK version. tablet friendly edition, but in danish only. Venue: Rued Langgaards Vej 7, 2300 Koebenhavn S. Airport: Copenhagen airport. Central station: Koebenhavn H.
Visit Copenhagen, tourist site. Has a lot of valuable information on the public transport system, tickets, etc. as well. USE-IT offer a free tourist map for young people based on OpenStreetMap data. This page was last modified on 21 March 2012, at 04:58. This page has been accessed 93,482 times.